Events bring fun to the work week. Being in the creative field, it is extremely important to find time to recharge and seek inspiration beyond the office. That is where a positive company culture and a fun work environment comes in. Over the past year, the team at Origo has hosted events that work within our schedule to give us time to bond and learn more about each other. From international potlucks, to early morning apple picking, and impromptu M&M judging competitions. Each event has broken us out of our daily routine, bought us together, and created an atmosphere that builds a positive company culture. This week’s celebration was just the same. Last Tuesday was National Sock Day, and Origo decided to make a day out of it with the crew. 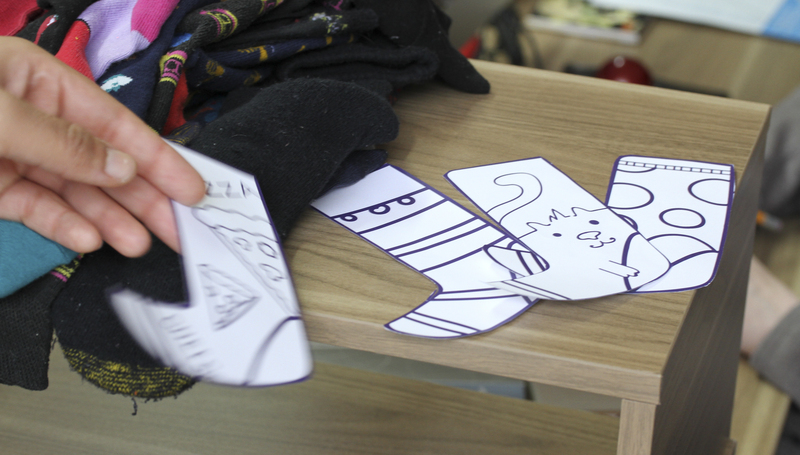 Our resident event planner and designer, Kelly, threw together a game that was about as bizarre as toe-socks. 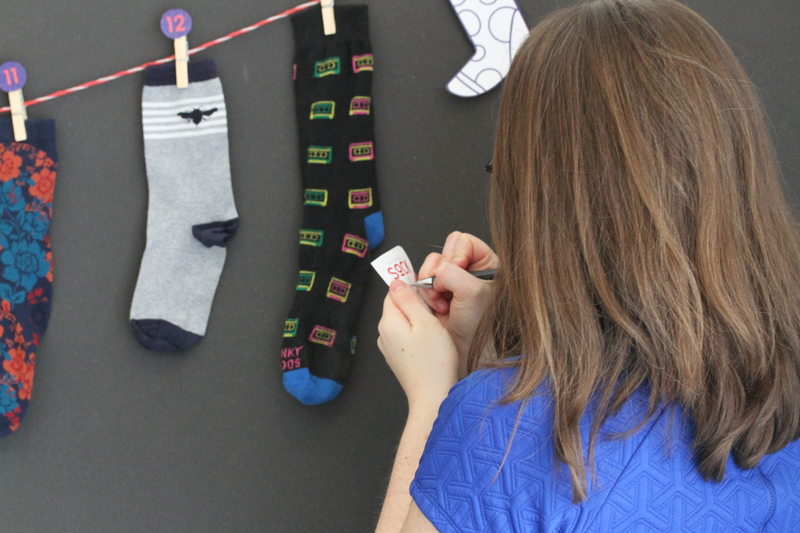 Each participant was tasked with bringing in a pair of socks that they felt matched their personality and sneakily depositing it in the secret sock drop. Kelly then separated the pairs apart and hung them up on the clothesline. The goal of the game was simple: To guess whose sock belongs to who. We made sure everyone participated. There was only one no-show and that ended up being Diana’s sock of choice. In the end, our animator Nick was victorious. 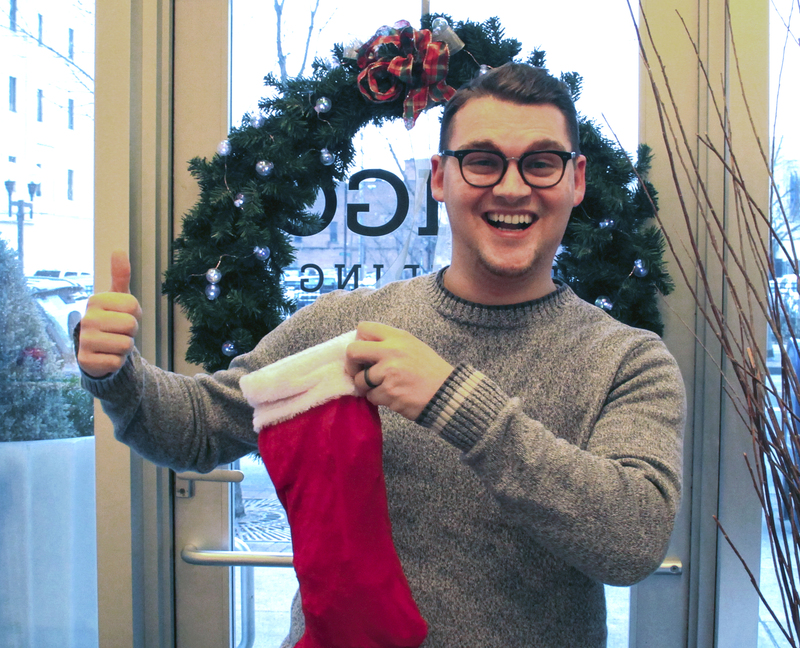 He successfully matched 6 out of the 13 socks to their owners, earning him the biggest sock of them all: a holiday stocking filled with candy, a gift card, and a hippopotamus. This experience might have took time to plan, but it was well worth it. Breaking away from our computers was refreshing, brought mystery, excitement, a bit of healthy competition to the office, and a chance to bond with our work family. We find that extremely important at Origo.